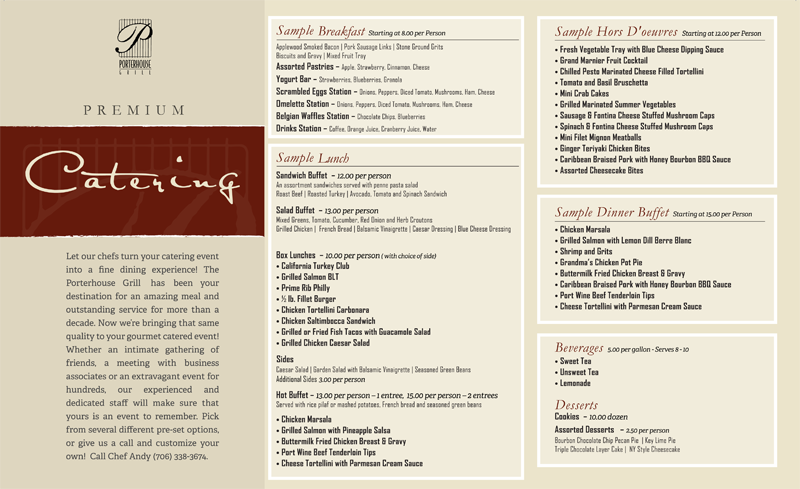 Let our chefs turn your catering event into a fine dining experience! The Porterhouse Grill has been your destination for an amazing meal and outstanding service for over 15 years. 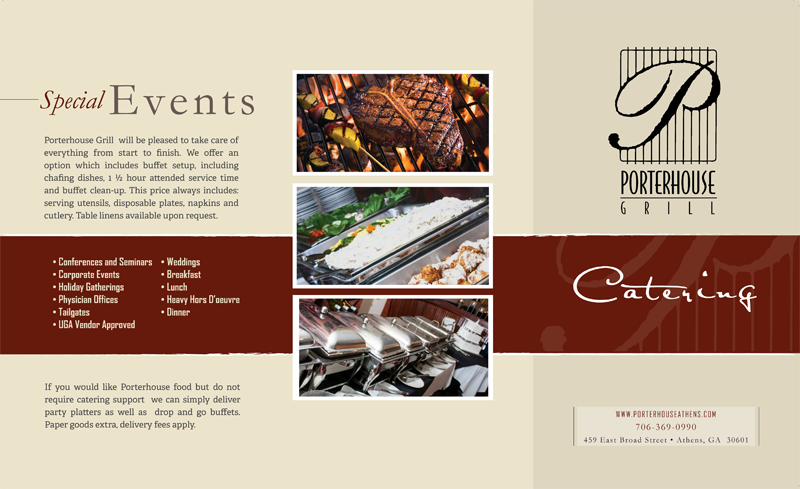 Now we’re bringing that same quality to your gourmet catered event! Whether an intimate gathering of friends, business associates or an extravagant event for hundreds, our experienced and dedicated staff will make sure that yours is an event to remember. Pick from several different pre-set options, or give us a call and customize your own!